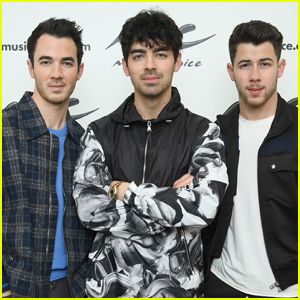 Jonas Brothers Perform Special Concert in Atlanta – Watch Now! | Joe Jonas, Jonas Brothers, Kevin Jonas, Nick Jonas | Just Jared Jr. The Jonas Brothers just performed another very special show for some of their biggest fans and it’s got us feeling so nostalgic! 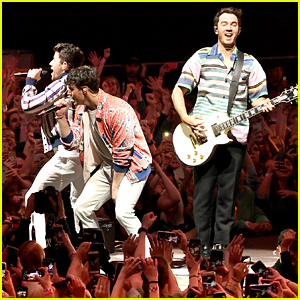 The group – Nick, Joe and Kevin – took the stage on Saturday night (March 30) at the Tabernacle in Atlanta, GA. The guys kicked off the show with a dramatic entrance to the stage while playing “Burnin’ Up” and you need to see it! 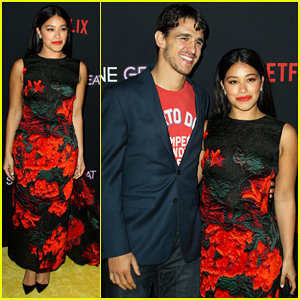 Thankfully, fans documented the whole thing, unlike their previous show in Los Angeles which didn’t allow for video. The JoBros‘ setlist also included “Lovebug,” “When You Look Me in the Eyes,” “S.O.S.” and even “Gotta Find You” from Camp Rock!